At BuySellRam, as we continue to excel the art of buying bulk new or used computer hardware and accessories, we seek out to our customers the best rates when purchasing Ram memory, processors, hard Drives, SSDs,server, laptops, smartphones etc. Expand your business by getting rid of your surplus computer equipment and get the best deals while you sell them to us in bulk. We do purchase all kinds of computer hardware equipment and electronics, reach out to us today to start a haggle free process of selling your computer hardware from any place in the US. Email us at buysellram@gmail.com for a quick response on selling computer components and networking equipment. HomeScapes Depot is a multi-faceted media company and a leader in the digital-advertising industry connecting local home improvement contractors with homeowners, homeowner associations, and real estate agents for all their local home improvement projects. We are a directory of local handyman and general contractors across the United States. In addition we promote a DIY directory of how to content on home improvement topics created by our writers and other featured contributors and local handymen. Kirkman Animal Hospital is proud to serve the Orlando FL area for everything pet related. Our veterinary clinic and animal hospital is run by Our Veterinarian, who is a licensed, experienced Orlando veterinarian. Our team is committed to educating our clients in how to keep your pets healthy year round, with good nutrition and exercise. Kirkman Animal Hospital stays on top of the latest advances in veterinarian technology and above all, remembers that all animals and pets need to be treated with loving care in every check-up, procedure, or surgery. Likewise, architecture blogs and architectural magazines provide information on what's new in the Orlando home design world. These can be the ideal place to find resources and investigate your interests further before you begin work on your own home. 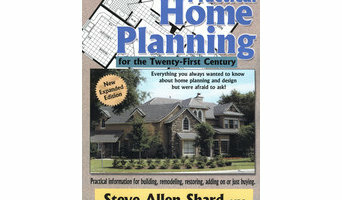 Whether they provide an in-depth look at a new development in the world of design, research on the best Orlando, FL vendors and resources for purchasing home furnishings, step-by-step instructions for completing a home improvement project successfully from start to finish, or inspiring images and thoughts on styles and trends in the home, blogs and other media provide endless resources for people interested in home design. Here are some related professionals and vendors to complement the work of media & bloggers: Photographers, Interior Designers & Decorators, Architects.